When I go to the gym I like to just go in, workout and go out. I don't like the hassle of going to the locker room so I carry as little as possible. I have a super small purse that holds a couple of bills, my keys, phone and headphones. I carry my water bottle in my hand and my towel around my neck. On my way back home it was pretty annoying carrying an empty water bottle so the Foldable Silicone Water Bottles from MindBody Active was the perfect solution. 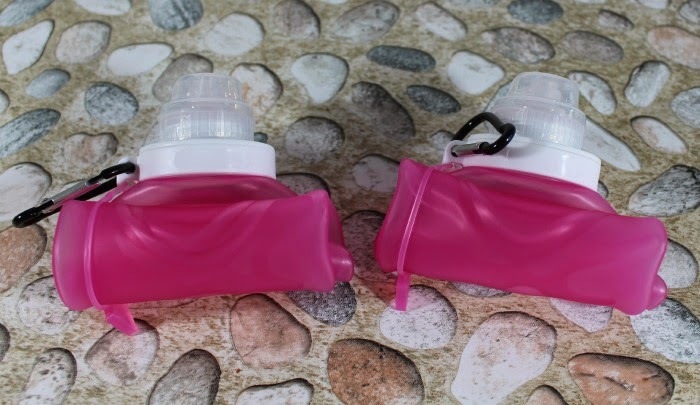 The MindBody Active bottle holds 20 ounces of water and can be folded, rolled or flattened to 1/4 of it's original size when empty. All you have to do it start rolling it up from the bottom and securing it with the attached loop. To fill it up all you have to do is unwrap the loop, unfold it and open it up to get some air in. It will stand upright and then all you have to do is screw off the cap and fill it up. I love that it has a hook so that I can hook it up to my purse while folded when I am walking back home. Food Grade Silicone is one of the best materials for water bottles because they are free of chemicals that can seep into your water like plastic water bottles. I also love that you can put the bottles into the freezer. I like to fill my water bottles and put in the freezer for about 20 minutes or until a thin layer of ice forms around the inside of the bottle. Then I crush the ice by squeezing the bottle and I have super cold water to drink. 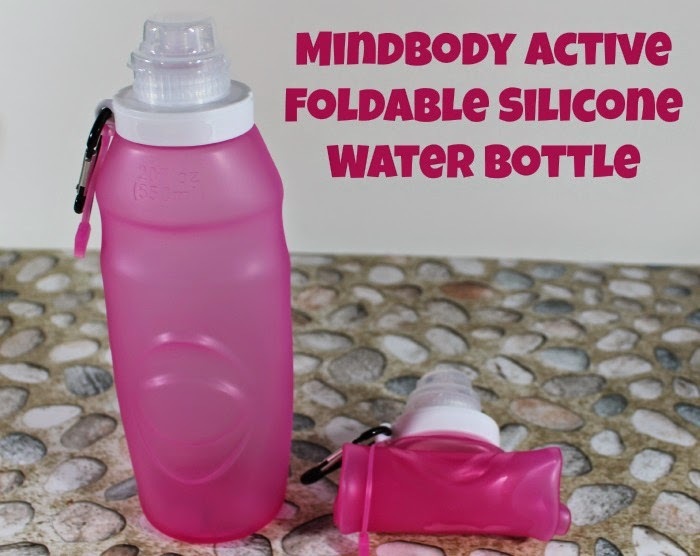 Check out the MindBody Active Foldable water bottles on Amazon.